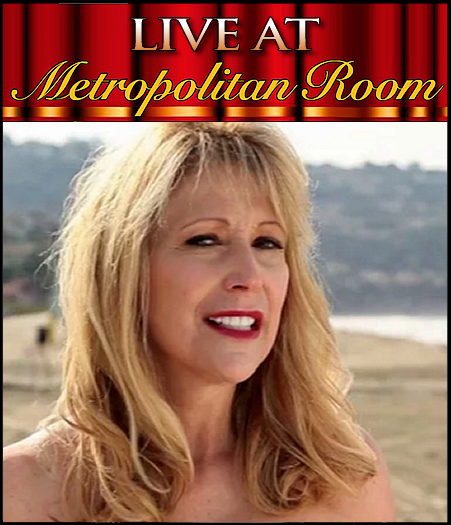 After two highly successful shows that have played nationally and internationally, Robyn Spangler is getting her “second wind” as she returns to the Metropolitan Room for an evening that includes an intimate collections of songs and stories. Robyn Spangler "Second Wind" from Robyn Spangler on Vimeo. Robyn has recorded two albums with o.p. records. "On A Liquid Afternoon” and "Why I Love Linda Ronstadt" as well as two singles "Consider Reconsidering Me" written by platinum-selling songwriter Kevin Fisher and her single "Second Wind" written with Todd Schroeder which spent two weeks at #1 on ReverbNation. Robyn's music has also received airplay on Delta Airlines' Hello Music Channel. Robyn’s has spent over 25 years working as a commercial actress. She continues to work in film, television, stage, internet television, concerts and clubs. Ms. Spangler is a proud member of Actors' Equity Association, Screen Actors Guild/American Federation of Television and Radio Artists and American Society of Composers and Publishers. Robyn has been honored by The San Diego Fringe Festival, BroadwayWorld, PLAYBILL Pick, San Diego Cabaret Association & Cabaret Scenes Pick of the Week.